We are engaged in Manufacturing and Supplying of an exclusive range of Foot Mounted Geared Motor which is known for its corrosion resistance, high tensile strength and robust construction. 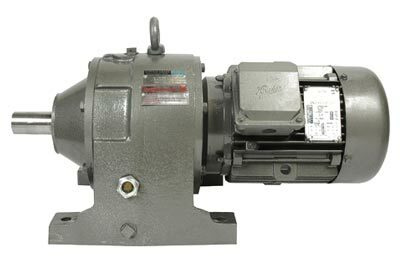 The Foot Mounted Geared Motor we supply is used in diverse industries like Water Houses, Mines, Quarries, Heavy Fabrication Unit, Road Construction, Shipping Yards, etc. We offer Foot Mounted Geared Motor at rock bottom prices to the clients. 20/15 30 to 280 1.0,1.4,1.6 CGF/160- CGG/160-CGH/160.